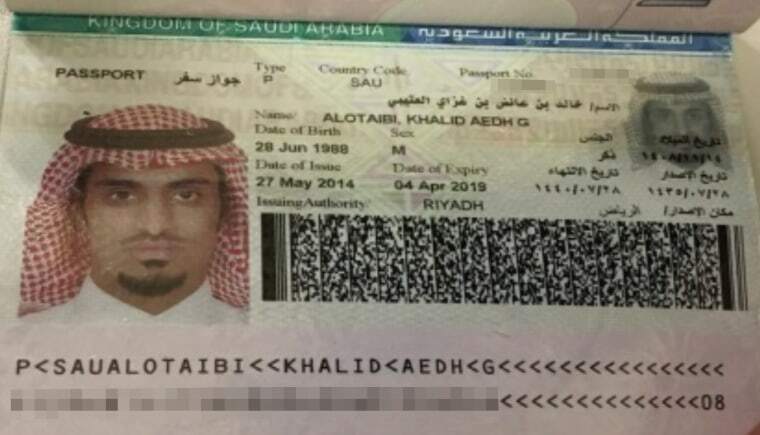 A passport of a suspected Saudi national purportedly involved in the disappearance of Washington Post journalist Jamal Khashoggi. WASHINGTON — Turkey is revealing new information about members of the Saudi hit team it says traveled to Istanbul to kill missing journalist Jamal Khashoggi, providing NBC News with scans of the passports they allegedly used to enter the country. Turkish officials said it was possible that the passport scans of the remaining eight members of the team will be released at a later date. The Washington Post, where Khashoggi was a columnist, first obtained the scans. The disclosure comes as Turkish authorities work to substantiate publicly its allegations against Saudi Arabia before the Saudis issue a much-anticipated public explanation for his disappearance. NBC News reported Monday that Saudi Arabia was discussing a plan to admit Khashoggi was killed in the consulate but claim that Crown Prince Mohammed bin Salman and top Saudi leadership weren’t aware or involved. President Donald Trump said Tuesday that in a phone call, Crown Prince Mohammed had “totally denied any knowledge of what took place” in the Saudi Consulate in Istanbul, which Khashoggi entered but never left. Trump compared the Khashoggi disappearance to allegations of sexual assault leveled against Supreme Court Justice Brett Kavanaugh during his confirmation hearing. "Here we go again with, you know, you're guilty until proven innocent," Trump said in an interview with the Associated Press. "We just went through that with Justice Kavanaugh and he was innocent all the way as far as I'm concerned." In the original passport scans obtained by NBC News, the photos of the seven men's faces can be seen along with their names, dates of birth and passport numbers. NBC News hasn't independently verified their identities so has blurred out some details in the scans.